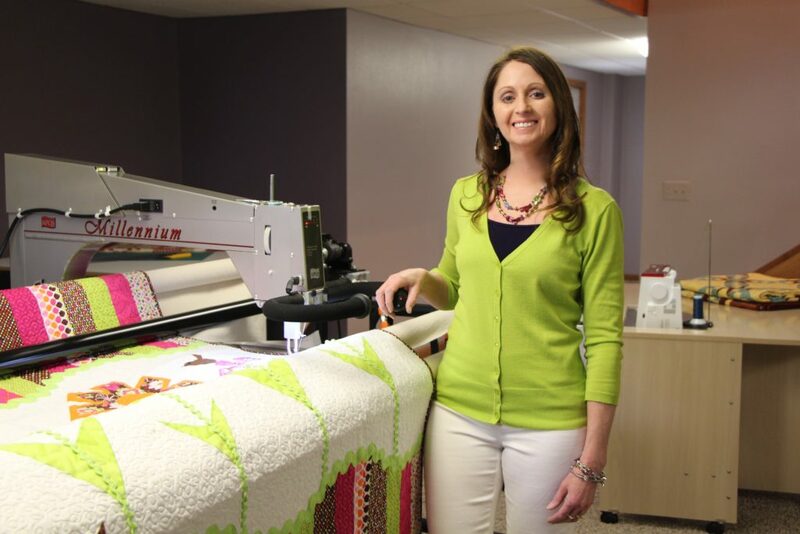 Hello from Longarm Inspirations Quilting near Waucoma, Iowa. I have been longarm quilting local customers quilts for 11 years. 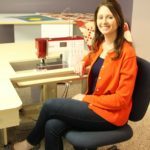 After working at a quilt shop for 4 years, I decided to use my talent and love of quilting to begin my own business. I have an APQS Millennium, and have attended Dawn Cavanaugh’s APQS education classes. I began sewing as a child, and started making quilts in my 20’s after my Grandmother Tillie passed away. She was an avid sewer and quilter and I felt these traditions needed to be passed down. I am a Registered Nurse and practiced for 17 years in geriatric and home care nursing. My husband owns Fredericksburg Plumbing/Heating and Pump Service.I enjoy spending time with my husband, our 3 daughters, working, baking,gardening, running, listening to IPR and sewing. I look forward to receiving each customer’s quilt. I am always amazed at their talented works of art and the stories behind them. My goal with quilting is to beautifully secure your quilt top, batting and backing together, in a way that enhances and not distracts from your original creation. My studio is free of clutter, dust, smoke and pets.